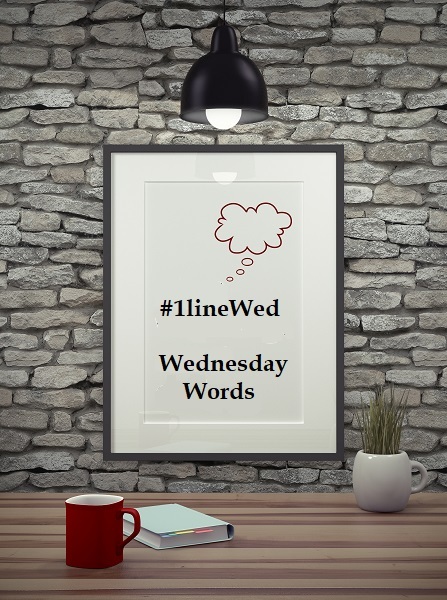 It’s that time of the week again–#1lineWed and today’s theme is **ROUGH/TOUGH**. Those words totally describe Zoe Parker, the heroine in my current Red Dirt Royalty WIP. She’s perfect for Tucker Tate. 😀 This is a scene from Chapter 3 (unedited) where they’re driving down a highway in Tucker’s vintage T-bird. I hope you enjoy this introduction to Zoe. Tucker let Zoe drive as she seemed to have some clue as to their location. She didn’t pop the clutch when she shifted gears, instinctively braked before hitting the curves, then powered through them by accelerating. He slowly unclenched his hands where they gripped her duffel bag. The day was sunny, not too warm, and her not-quite-a-groom and definitely scary not a mother-in-law were way behind them. Besides, by not driving, he could study this runaway bride. Zoe was pretty, though not in the beauty-queen sense. Her eyes, hidden now behind big sunglasses, were a deep chocolate brown. Her chin was too long, her mouth too wide but not full, and her nose tipped up on the end. Her long, dark brown hair fell in twisty—and hair-sprayed—curls down over her cleavage. There was just something wrong with him for thinking about her in any sort of sexual way, but he couldn’t help himself. She wasn’t the sort of woman he would normally be attracted to. Her accent was thick enough—and country enough—he could cut it with a knife. He had a Harvard MBA and remembered all too acutely the disdain he’d received for his Okie accent. He’d worked hard to smooth out its rough edges. Zoe? Her language was colorful and brash, and whenever she opened her mouth, the lyrics to a country song spilled out. Maybe that was her fascination. Tucker continued to study her. Long, supple fingers—and didn’t the idea of them gripping him like she had them wrapped around the steering wheel make him shift in his seat. They ended with short nails covered in chipped red polish. Her arms looked well-toned and he wondered what her figure was like before the pregnancy. He jerked his thoughts away from jumping down that rabbit hole. She drove with a carefree abandon that still exhibited a determined focus. She was a gypsy, from what Tucker had gathered—a free spirit not ready to settle in one place. Except she’d decided to keep the child of a man she claimed was a one-night stand she didn’t wish to marry. Zoe was a paradox and his curiosity might just kill his cat. Good thing he didn’t own one. This woman fascinated Tucker. And he worried about that, just a little. She was raw and uncouth. She said what she thought with no filters, and no matter how horrified he might be, he still found himself enjoying the entertainment she provided. In the back of his mind, though, resided that little voice of doubt. Was she telling a tall tale, or was this the truth of her life? You decide if Zoe’s telling the truth. In the meantime, feel free to share some rough or tough words of your own. This entry was posted in Writing Life and tagged #1lineWed, inspiration, quotes, Red Dirt Royalty, snippet, Wednesday Words, WIPs, writing. Bookmark the permalink. SQUEE! Awesome stuff! I just wish I had some awesome stuff to throw back at ya today.